"Lillehammer 1994" redirects here. For the Winter Paralympics, see 1994 Winter Paralympics. The 1994 Winter Olympics (Norwegian: Olympiske vinterleker 1994), officially known as the XVII Olympic Winter Games, was a winter multi-sport event celebrated from 12 to 27 February 1994 in and around Lillehammer, Norway. Lillehammer failed to win the bid for the 1992 event, losing to Albertville. Lillehammer was awarded the 1994 Winter Olympics in 1988, after beating Anchorage, United States; Östersund, Sweden; and Sofia, Bulgaria. Lillehammer is the northernmost city to ever host the Winter Games and the Olympic Games overall. The Games were the first to be held in a different year from the Summer Olympics, the first and only one to be held two years after the previous winter games. The Games were the second Winter Olympics hosted in Norway, after the 1952 Winter Olympics in Oslo, and the fourth Olympics in the Nordic countries, after the 1912 Summer Olympics in Stockholm, Sweden, and the 1952 Summer Olympics in Helsinki, Finland. Although many events took place in Lillehammer, skating took place in Hamar, some ice hockey matches were placed in Gjøvik, while Alpine skiing was held in Øyer and Ringebu. Sixty-seven countries and 1,737 athletes participated in six sports and sixty-one events. Fourteen countries made their debut in the Winter Olympics, of which nine were former Soviet republics. The Games also saw the introduction of stricter qualifying rules, reducing the number of under-performing participants from warm-weather countries. New events were two new distances in short track speed skating and aerials, while speed skating was moved indoors. Nearly two million people spectated the games, which were the first to have the Olympic truce in effect. The games were succeeded by the 1994 Winter Paralympics from 10 to 19 March. Manuela Di Centa and Lyubov Yegorova dominated women's cross-country skiing, taking five and four medals, respectively. A crowd of over 100,000 saw Italy beat Norway by 0.4 seconds on the men's 4 × 10 km relay. Vreni Schneider won a complete set of medals in Alpine skiing, while Norway took a medal sweep in the men's combined. Nancy Kerrigan had, before the games, been clubbed by Tonya Harding's associate, but managed to take silver in ladies' singles. Johann Olav Koss won three speed skating events, while 13-year-old Kim Yoon-Mi became the youngest-ever Olympic gold medalist. Sweden beat Canada in a dramatic penalty shootout in the ice hockey final. With 11 gold medals, Russia won the most events, while with 26, Norway collected the most medals overall. Planning of the Lillehammer bid started in 1981, following Falun, Sweden's failed bid for the 1988 Winter Olympics, losing to Calgary respectively. It was supported by the government largely to help stimulate the economy of the inland counties. Lillehammer originally bid for the 1992 Games, but came fourth in the voting with the games ultimately awarded to Albertville. In 1986, the International Olympic Committee (IOC) voted to separate the Summer and Winter Games, which had been held in the same year since the latter's inception in 1924, and arrange them in alternating even-numbered years. A new bid was launched for the 1994 Games, modified with an indoor speed skating venue and an additional ice hall in Lillehammer. Additional government guarantees were secured. Three other locations bid for the games: Östersund, Anchorage, and Sofia. The 94th IOC Session, held in Seoul on 15 September 1988, voted Lillehammer the host for the Games. Until the 2018 Winter Olympics, the Lillehammer Olympics were the last Winter Games to date to be held in a town, rather than be centered in a city. The overall responsibility for the games was held by the Lillehammer Olympic Organizing Committee, which was created on 14 November 1988 and led by Gerhard Heiberg. It was reorganized several times with various subsidiaries, but from 1993 consisted of a single company owned 51% by Lillehammer Municipality, 24.5% by the Government of Norway and 24.5% by the Norwegian Olympic Committee. The government had issued a guarantee for the games, and also covered the expenses related to infrastructure. The total costs of the games was 7.4 billion Norwegian krone (NOK), of which NOK 0.95 billion was expenditure by the ministries, NOK 4.48 billion was for operations and event expenses, and NOK 1.67 billion was for investments. The games had a revenue of NOK 2.71 billion, of which NOK 1.43 billion was from television rights, NOK 0.65 billion was from sponsors, and NOK 0.15 billion was from ticket sales. As part of its promotional activities, the Organizing Committee illegally used the art work The Smile Machine leading to an international incident between its creator and the Norwegian Embassy in Washington, DC. The Oxford Olympics Study established the outturn cost of the Lillehammer 1994 Winter Olympics at US$2.2 billion in 2015-dollars and cost overrun at 277% in real terms. This includes sports-related costs only, that is, (i) operational costs incurred by the organizing committee for the purpose of staging the Games, e.g., expenditures for technology, transportation, workforce, administration, security, catering, ceremonies, and medical services, and (ii) direct capital costs incurred by the host city and country or private investors to build, e.g., the competition venues, the Olympic village, international broadcast center, and media and press center, which are required to host the Games. Indirect capital costs are not included, such as for road, rail, or airport infrastructure, or for hotel upgrades or other business investment incurred in preparation for the Games but not directly related to staging the Games. The cost and cost overrun for Lillehammer 1994 compares with costs of US$2.5 billion and a cost overrun of 13% for Vancouver 2010, and costs of US$51 billion and a cost overrun of 289% for Sochi 2014, the latter being the most costly Olympics to date. Average cost for Winter Games since 1960 is US$3.1 billion, average cost overrun is 142%. On 6 January, Tonya Harding's ex-husband, Jeff Gillooly, conspired with Shane Stant to club fellow female figure skater Nancy Kerrigan in the knee. Both Harding and Kerrigan were selected for the Olympic team. After Harding admitted to helping to cover up the attack, the United States Olympic Committee initiated proceedings to remove her from the Olympic team, but Harding retained her place after threatening legal action. In the ladies' singles, Ukraine's Oksana Baiul won ahead of Kerrigan and Chen Lu, with Harding finishing eighth. In the men's singles, Russia's Alexei Urmanov won ahead of Canada's Elvis Stojko and France's Philippe Candeloro. Relaxation of the amateurism rules led to several former stars returning, such as ice dancing 1984 Champions Great Britain's Jayne Torvill and Christopher Dean, who took a bronze behind Russians Oksana Grishuk and Evgeny Platov, and Maya Usova and Alexander Zhulin. In pair skating, the Russians also took a double, with Ekaterina Gordeeva and Sergei Grinkov winning ahead of Natalia Mishkutenok and Artur Dmitriev. Italy, Germany and Austria collected all the medals in the luge events. Germany's Georg Hackl won the men's singles, making him the first to defend an Olympic title in the event in thirty years. He finished ahead of Austria's Markus Prock and Italy's Armin Zöggeler. In the doubles, the two Italian teams finished on top, with Kurt Brugger and Wilfried Huber winning ahead of Hansjörg Raffl and Norbert Huber. In the women's singles, Italy's Gerda Weissensteiner won ahead of Germany's Susi Erdmann and Austria's Andrea Tagwerker. The own debuts was start Nedžad Lomigora from Bosnia and Herzegovina, Marco Feder from Liechtenstein, Sminon J. Payne from Bermuda, Paul Hix from United Kingdom, Josef Svarek from Slovakia, Roger White from Australia. 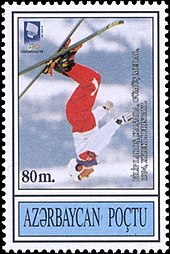 Although the events were the same, since the 1992 Games there was a rule change so that instead of jumping three times and taking the points for the best two, the competitors only jumped twice. In the individual normal hill/15 km, Japan's Kenji Ogiwara had only lost a single event in the season's World Cup, but came in sixth on the hill, which was won by Norway's Fred Børre Lundberg. He won the event after finishing eight-best in the skiing, ahead of Japan's Takanori Kono, Norway's Bjarte Engen Vik and Ogiwara in fourth. In the team normal hill/3 x 10 km, Japan finished first, third and fifth among the jumpers, giving them a 5:07 minute lead over Norway and finishing 4:49 minutes ahead. Switzerland took the bronze. Short track speed skating was dominated by South Korea, who won four of the six events. After the discipline's debut in 1992, 1994 featured two new events, the men's 500 meters and the women's 1000 meters. South Korea's Chae Ji-Hoon won the men's 500 meters, while taking silver on the 1000 meters behind countryman Kim Ki-Hoon, who defended his 1992 gold. The bronze was won by Canada's Marc Gagnon, who won the B final. In the A final, countryman Derrick Campbell was obstructed by Great Britain's Nicky Gooch, who was disqualified. Campbell got up and started celebrating his bronze medal, when he discovered he had not completed the race. The nine former Soviet republics of Armenia, Belarus, Georgia, Kazakhstan, Kyrgyzstan, Moldova, Russia, Ukraine and Uzbekistan participated as independent nations. The break-up of Czechoslovakia resulted in the Czech Republic and Slovakia participating for the first time. Bosnia and Herzegovina participated for the first time, after their independence from Yugoslavia. The composition of the Bosnia and Herzegovina four-man bob team was one Croat, two Bosniaks and a Serb, mirroring the ethnic diversity of the country. Three "warm countries", American Samoa, Israel and Trinidad and Tobago, made their debuts. ^ "Lillehammer 1994". www.olympic.org. Archived from the original on 5 April 2010. Retrieved 17 March 2010. ^ Seidman, Robert (1 March 2010). "190 million People watched Olympics, 2nd most watched winter Olympics in history". TV By the Numbers. Archived from the original on 13 December 2010. Retrieved 13 December 2010. ^ a b "Alpine Skiing at the 1994 Lillehammer Winter Games". Sports Reference. Archived from the original on 13 December 2010. Retrieved 12 December 2010. ^ "Biathlon at the 1994 Lillehammer Winter Games: Men's 10 kilometres Sprint". Sports Reference. Archived from the original on 13 December 2010. Retrieved 12 December 2010. ^ a b "Biathlon at the 1994 Lillehammer Winter Games". Sports Reference. Archived from the original on 13 December 2010. Retrieved 12 December 2010. ^ "Biathlon at the 1994 Lillehammer Winter Games: Men's 4 × 7.5 kilometres Relay". Sports Reference. Archived from the original on 13 December 2010. Retrieved 12 December 2010. ^ "Biathlon at the 1994 Lillehammer Winter Games: Women's 4 × 7.5 kilometres Relay". Sports Reference. Archived from the original on 13 December 2010. Retrieved 12 December 2010. ^ "Cross Country Skiing at the 1994 Lillehammer Winter Games: Men's 4 × 10 kilometres Relay". Sports Reference. Archived from the original on 13 December 2010. Retrieved 12 December 2010. ^ a b "Cross Country Skiing at the 1994 Lillehammer Winter Games". Sports Reference. Archived from the original on 13 December 2010. Retrieved 12 December 2010. ^ "Cross Country Skiing at the 1994 Lillehammer Winter Games: Women's 4 × 5 kilometres Relay". Sports Reference. Archived from the original on 13 December 2010. Retrieved 12 December 2010. ^ Swift, E. M. (14 February 1994). "Anatomy of a Plot". Sports Illustrated. Archived from the original on 11 December 2011. Retrieved 11 December 2012. ^ "Mass Moments: Skater Nancy Kerrigan Assaulted". Massachusetts Foundation for the Humanities. Archived from the original on 26 November 2010. Retrieved 13 December 2010. ^ "Figure Skating at the 1994 Lillehammer Winter Games: Mixed Ice Dancing". Sports Reference. Archived from the original on 13 December 2010. Retrieved 12 December 2010. ^ "Freestyle Skiing at the 1994 Lillehammer Winter Games". Sports Reference. Archived from the original on 13 December 2010. Retrieved 12 December 2010. ^ "Ice Hockey at the 1994 Lillehammer Winter Games". Sports Reference. Archived from the original on 12 December 2010. Retrieved 12 December 2010. ^ "Ice Hockey at the 1994 Lillehammer Winter Games: Men's Ice Hockey Preliminary Round". Sports Reference. Archived from the original on 12 December 2010. Retrieved 12 December 2010. ^ "Ice Hockey at the 1994 Lillehammer Winter Games: Men's Ice Hockey Quarter-Finals". Sports Reference. Archived from the original on 13 December 2010. Retrieved 12 December 2010. ^ "Ice Hockey at the 1994 Lillehammer Winter Games: Men's Ice Hockey Semi-Finals". Sports Reference. Archived from the original on 13 December 2010. Retrieved 12 December 2010. ^ "Ice Hockey at the 1994 Lillehammer Winter Games: Men's Ice Hockey". Sports Reference. Archived from the original on 13 December 2010. Retrieved 12 December 2010. ^ "Luge at the 1994 Lillehammer Winter Games". Sports Reference. Archived from the original on 13 December 2010. Retrieved 12 December 2010. ^ "Nordic Combined at the 1994 Lillehammer Winter Games: Men's Individual". Sports Reference. Archived from the original on 13 December 2010. Retrieved 12 December 2010. ^ "Nordic Combined at the 1994 Lillehammer Winter Games: Men's Team". Sports Reference. Archived from the original on 13 December 2010. Retrieved 12 December 2010. ^ a b "Short Track Speed Skating at the 1994 Lillehammer Winter Games". Sports Reference. Archived from the original on 12 December 2010. Retrieved 12 December 2010. ^ "Short Track Speed Skating at the 1994 Lillehammer Winter Games: Men's 1,000 metres". Sports Reference. Archived from the original on 12 December 2010. Retrieved 12 December 2010. ^ "Short Track Speed Skating at the 1994 Lillehammer Winter Games: Men's 5,000 metres Relay". Sports Reference. Archived from the original on 12 December 2010. Retrieved 12 December 2010. ^ "Short Track Speed Skating at the 1994 Lillehammer Winter Games: Women's 500 metres". Sports Reference. Archived from the original on 12 December 2010. Retrieved 12 December 2010. ^ "Short Track Speed Skating at the 1994 Lillehammer Winter Games:Women's 3,000 metres Relay". Sports Reference. Archived from the original on 12 December 2010. Retrieved 12 December 2010. ^ "Ski Jumping at the 1994 Lillehammer Winter Games". Sports Reference. Archived from the original on 12 December 2010. Retrieved 12 December 2010. ^ "Ski Jumping at the 1994 Lillehammer Winter Games: Men's Large Hill, Team". Sports Reference. Archived from the original on 12 December 2010. Retrieved 12 December 2010. ^ "Speed Skating at the 1994 Lillehammer Winter Games". Sports Reference. Archived from the original on 12 December 2010. Retrieved 12 December 2010. ^ "Lillehammer 1994". International Paralympic Committee. Archived from the original on 11 December 2010. Retrieved 13 December 2010. ^ Clarey, Christopher (7 February 1994). "The Tourist Athlete Gets Snowed Out of These Games". The New York Times. Archived from the original on 12 December 2010. Retrieved 11 December 2010. ^ "The United Nations and the Olympic Truce". UN. Archived from the original on 12 December 2010. Retrieved 11 December 2010. ^ "Lillehammer Has the War in Sarajevo on Its Mind". The New York Times. Reuters. 8 February 1994. Archived from the original on 12 December 2010. Retrieved 11 December 2010. "Lillehammer 1994". Olympic.org. International Olympic Committee. "Results and Medalists — 1994 Winter Olympics". Olympic.org. International Olympic Committee. Hove-Ødegård, Arne; Celius, Sten; Brun, Ivar Ole (2004). "An Olympic Fairy Tale". Lillehammer Municipality. Archived from the original on 12 December 2010. Retrieved 11 December 2010. Lillehammer Olympic Organizing Committee. "1994 Winter Olympics Report, volume I" (PDF). Archived (PDF) from the original on 2 December 2010. Retrieved 10 December 2010. Lillehammer Olympic Organizing Committee. "1994 Winter Olympics Report, volume II" (PDF). Archived (PDF) from the original on 2 December 2010. Retrieved 10 December 2010. Lillehammer Olympic Organizing Committee. "1994 Winter Olympics Report, volume III" (PDF). Archived from the original (PDF) on 2 December 2010. Retrieved 10 December 2010. Lillehammer Olympic Organizing Committee. "1994 Winter Olympics Report, volume IV" (PDF). Archived from the original (PDF) on 2 December 2010. Retrieved 10 December 2010.